Seeds or plays on table. You may seed Montana Missile Complex. Phoenix may not be played (but may be acquired). 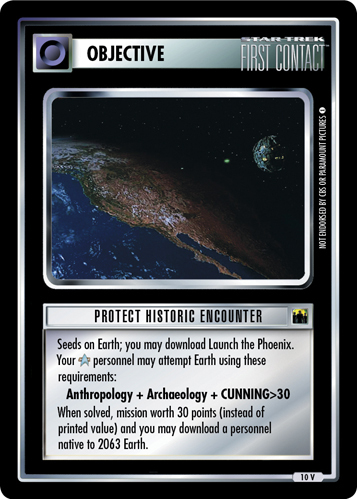 Once each turn, your card native to 2063 Earth may report there for free. 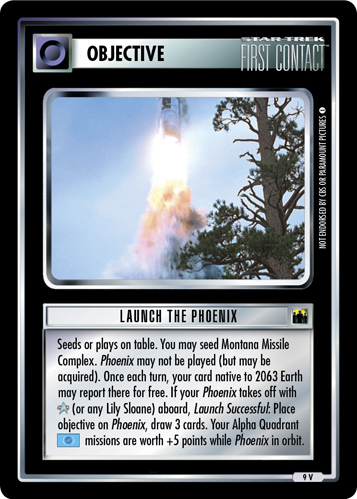 If your Phoenix takes off with (or any Lily Sloane) aboard, Launch Successful: Place objective on Phoenix, draw 3 cards. 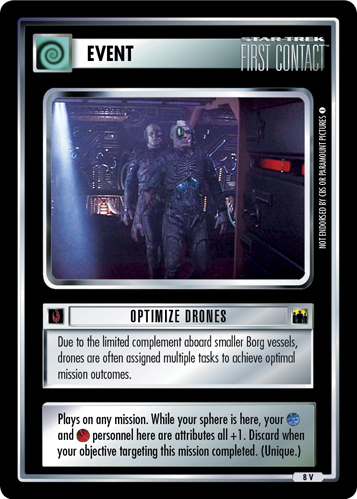 Your Alpha Quadrant missions are worth +5 points while Phoenix in orbit.